Dilara Apa, editor-in-chief of The Guide Istanbul takes us on an armchair tour of Istanbul’s most hip neighborhoods and the best places to eat, shop and scope out the art scene. On your first day here, seeing this is a must: Exploring Eminönü, Haliç and the Bosphorus is a good way to start your journey in Istanbul. The buzzing bazaars in that area are filled with the voices of the vendors, the smell of fresh Turkish coffee from the famous Kurukahveci Mehmet Efendi at the back entrance of the Egyptian Bazaar, and the sight of vibrantly colored spices in open containers outside the shops. The winter brings the aroma of freshly roasted chestnuts, while the summer brings street vendors selling freshly roasted milky corn on the cob, sometimes flaked with salt. 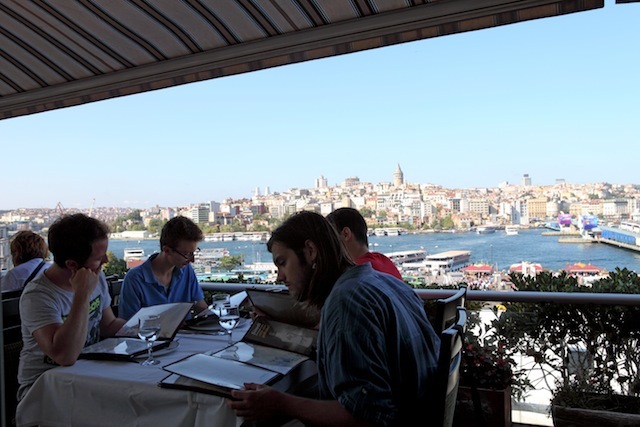 The top floor of Hamdi Restaurant in Eminönü is a great introduction to the stunning views and food staples of Istanbul. Kebab is the thing here and the magnificent view of the Haliç Bay will give you a seagull’s perspective of the city. Most people don’t know this, but to get a true taste of the local culture: You have to leave the historical neighborhoods, which cater mostly to tourists. Get lost amidst the cobble-stoned streets of Tünel, Galata, and Karaköy, which are local favorites. Although these neighborhoods are part of the Beyoğlu area, they are separate from the well-known tourist trail: Istiklal Street. In Tünel and Galata you can find the locals hanging out in small yet sincere cafes, or shopping at local boutiques where you can find the creations of Turkish designers. As you travel down to Karaköy, you can really witness the dual personality of the city. For example, when you walk along the Bosphorus side of Karaköy towards the Tophane area, you’ll see a lot of new, modern cafes and restaurants located in the maze-like streets where locals enjoy cups of coffee while reading their newspapers or hanging out with their friends. When you detour and start to walk toward the Haliç Bay you’ll suddenly find yourself among small street vendors that sell almost everything from jeans to fishing rods, while fish mongers display their daily catch. For a glimpse of daily life, I recommend: Taking the vapur (ferry). Istanbul is the only city in the world that is situated on two continents, so it would be sad to leave without experiencing the crossing between Asia and Europe. An important part of a citizen’s daily life is their commute between these two continents, day and night, in order to get to and from work, or to one of the latest openings in the city. With its iconic yellow-striped exterior and local feel, the vapur is an essential experience. Watching the water from the back of the boat with a glass of hot tea and simit (Turkish style bagel) in your hand, while listening to the seagulls, the call to prayer coming from a distant minaret, or the whistle of another boat coming or going from the city produces a unique feeling of inner peace, city pride, and carpe diem. There are several different commuter routes, but I like taking the vapur from Karaköy to Kadıköy best because Topkapı zooms out slowly as you sail eastwards towards Asia. I had my best night’s sleep at: The Swissotel. This property is situated in the center of Istanbul, where you’re not only close to the main arteries of the city, but where you’ll also receive five star treatment in every way. If you’re going to stay in Istanbul, you might as well wake up to the Bosphorus every morning, and that is why the Four Seasons Hotel at the Bosphorus is another great option. 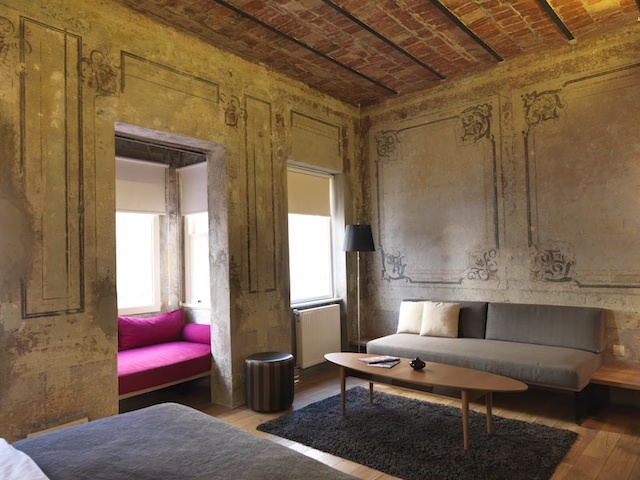 There is also a boutique hotel movement in the city where historical buildings gain new purpose through restoration. One of these is Rooms Galata, located in the hip Galata neighborhood. 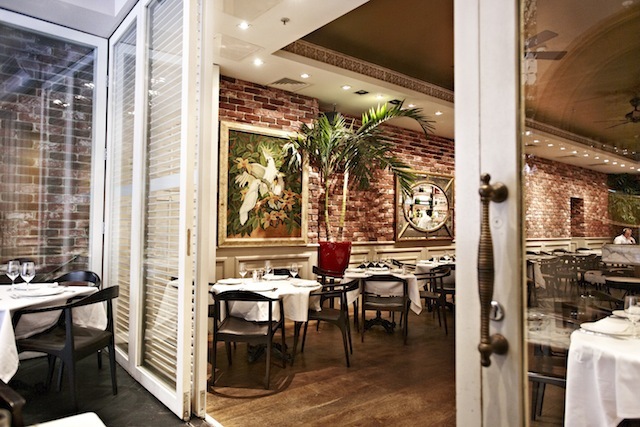 The original frescoes lining the walls and chic décor give it a very modern yet cozy feel. Another favorite is Sumahan where guests feel as if they are living in a waterfront residence. Once an Ottoman era factory, the elegant boutique hotel, located on the Asian side, is the perfect getaway from the city. The meal at this local eatery had me salivating for days: For a fine dining experience I prefer Changa‘s innovative take on dishes. They really experiment with ingredients and introduce new flavors seasonally. For a traditional meyhane experience, Meze by Lemon Tree is a must. It’s one of the few restaurants/modern meyhanes in the city that actually prepares creative and inventive mezes. For a more traditional rakı and meze experience I like to dine at Karaköy Lokantası. They too have seasonal mezes with a twist on the classics. Best place to find artisan handicrafts: Galeri Süav has an extensive collection that gets its inspiration from the Hittite, Ottoman, and Byzantine eras to reinterpret classic items made of ceramics, glass, textiles and much more. The Iznik tile is known worldwide for its floral patterns that often adorn the interiors of mosques. The Iznik Foundation offers these beautiful decorative tiles for either private order or architectural projects. Another great option is the Istanbul Handicrafts Center, housed in a restored 17th century medrese (theological school), where you can watch local craftsmen produce a range of handicrafts, including hand-painted silks, ceramics, porcelain, and modern examples of the classical Turkish art form ebru (marbled paper). 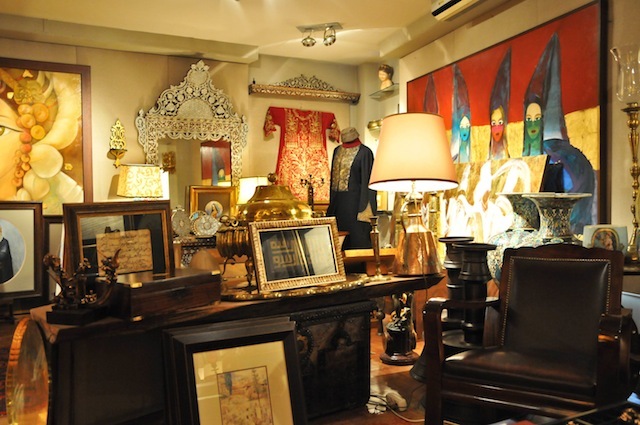 Another place to visit when it comes handicrafts and antiques is Sofa Art & Antiques located near the Nuruosmaniye entrance of the Grand Bazaar. This shop is remarkable for the presentation and array of oddities and beautiful objects of varying age and genesis. Prints, maps, ceramics, miniatures, calligraphy, antique rugs, silver and contemporary art all can be found here. Local celebration not to be missed: October 29th is when the entire country celebrates the anniversary of the proclamation of the Republic, which took place back in 1923. In Istanbul, the highlight of the celebration is the countless fireworks that pour over the Bosphorus. So the best thing to do is reserve a table at one of the restaurants along the Bosphorus, to watch the impressive fireworks spread their glitter over the sea and sky. Favorite pastimes: Going to hamam is definitely one of the all-time favorite activities in Istanbul. 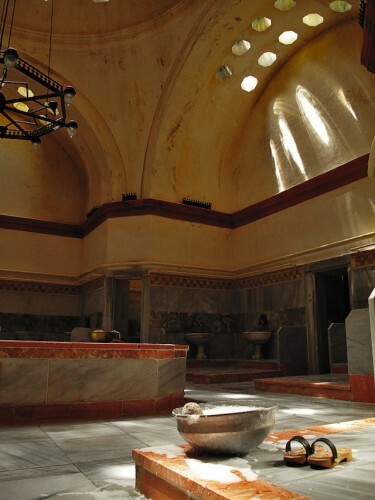 Try the Hürrem Sultan Hamam for a luxury treatment or the 400-year-old Cağaloğlu Hamam for a more historical experience. Most of the five and four star hotels like the Four Seasons Bosphorus or the Swissotel also offer great hamams. Another favorite pastime is visiting the Museum of Innocence in Cihangir, which causes one to wonder how life used to be in the Istanbul of the 1970s and leads the way to a scavenger hunt amongst the antique and second hand stores in the Ã‡ukurcuma neighborhood. Visiting the old castle in Rumelifeneri is also an essential experience. After exploring all the nooks and crevices open to visitors, stop by the Mendirek Restaurant located right below the Rumelifeneri’s actual ‘fener‘ to enjoy fried mussels. For a more bucolic/green setting I escape here: It’s a pity that Istanbul doesn’t have more parks. Among the ones we do have is Emirgan Park, which houses three historical manor houses and has an amazing view of the Bosphorus. 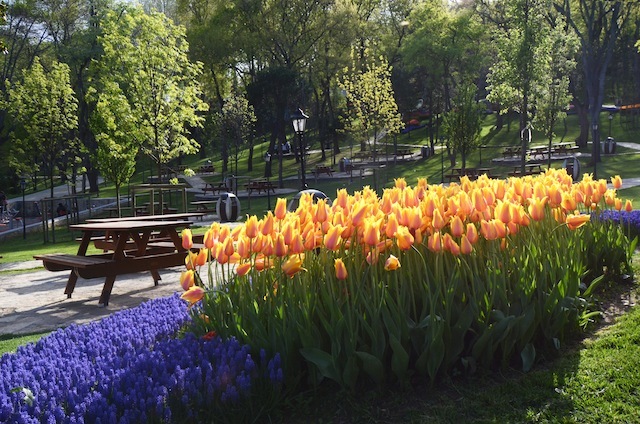 During the tulip festival, which takes place every April, the municipality plants a gorgeous display of these flowers. Visitors can enjoy botany and a bit of history while strolling around the grove. Another favorite in the spring is to get lost behind the cobbled-stoned streets of the Rumeli Fortress where the lovely judas trees almost pour out of the city. Another sporty escape is the Belgrad Forest located near Kemerburgaz, where you can run an uninterrupted six kilometers among the trees. The art/music scene is alive and well here: One of the main concert venues in the city is Babylon where a lot of international musicians and DJs perform on a regular basis. Babylon also has a lounge that hosts well-known DJs as well as other nightlife events regularly. Ghetto is another respectable concert venue in the city that also brings in important names as well as hosts major parties and events. Since its opening in 2000, the Iş Sanat Cultural Center has been host to numerous musical and stage performances including such renowned names as Yo-Yo Ma, Charlie Haden, Gidon Kremer, Dianne Reeves, Vladimir Ashkenazy and Dave Brubeck. Another noteworthy venue is Garajistanbul, which is not only a bold and innovative space dedicated to talented artists but also an international non-profit organization and a contemporary performing arts center. On the Asian side, Karga and Arkaoda promulgate the young music scene, which are located right next to each other on Kadife Street. Arkaoda is home to many local and international DJs, and occasionally hosts live performances by local and foreign indie musicians. Karga’s upper floors have an art gallery where you may stumble upon various activities and events, such as film screenings and dance workshops. In terms of art, some of the most well-known museums are the Pera Museum, the Sakıp Sabancı Museum, and Istanbul Modern. While both Pera and Sabancı focus on hosting more classic art (such as Monet and Botero, most recently), Istanbul Modern is the hub of modern art in the city. There also has been an explosion in the city’s gallery population. One of our favorites include the historical Mısır Apartmanı, home to five different galleries on varying floors. Other noteworthy galleries include Salt (in Galata and Beyoğlu), which can be described more as an innovative institution acting as a museum, architectural institution, research facility, and gallery. 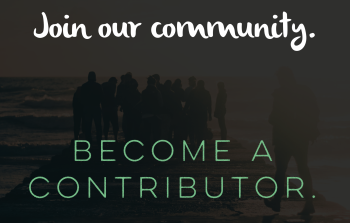 Borusan Arts and Culture Center aims to contribute to the production and appreciation of contemporary art as well as to interdisciplinary and intercultural dialogues. Arter and The Empire Project both focus on displaying local and international contemporary artists. Where the locals get tipsy: There are clubs along the Bosphorus; bar hopping in Beyoğlu, or you can simply chill with a cocktail in Kadıköy”…the choices go on and on. But when it comes to drinking and dancing, the small, overcrowded Otto offers good music and a vibrant crowd with the party bustling both indoors and outdoors on the street. Another claustrophobic favorite is Kiki in Cihangir, which gets going after 2 a.m. Serving as a modern meyhane by day and turning to a club/bar at night, Münferit is another local favorite. Here, the upscale hipster crowd takes over the entire outside area, so pop back inside for great music and cocktails. Bird is another restaurant that turns into a bar after about 11 p.m. when the volume is turned up and the crowds come to dance and drink. If I had only 24 hours to explore Istanbul I would: Start the day with breakfast amidst a modern setting at Backyard in Etiler, or Sade Kahve in Rumelihisarı if you’d like a more traditional Turkish breakfast. After breakfast, walk along the Bosphorus from Rumelihisarı to Bebek. If you don’t want to walk, tour the strait with any kind of sea transportation for an equally worthy experience. After inhaling some fresh air, head to Eminönü for a quick walk around the Egyptian Bazaar, then head to Sultanahmet to cruise the exteriors of the Sultanahmet Mosque, Haghia Sophia, the Topkapı Palace and maybe have a quick peak at the mysterious Basilica Cistern. After that, go to Nar Lokanta in Nuruosmaniye to enjoy excellent Turkish food in a modern setting. 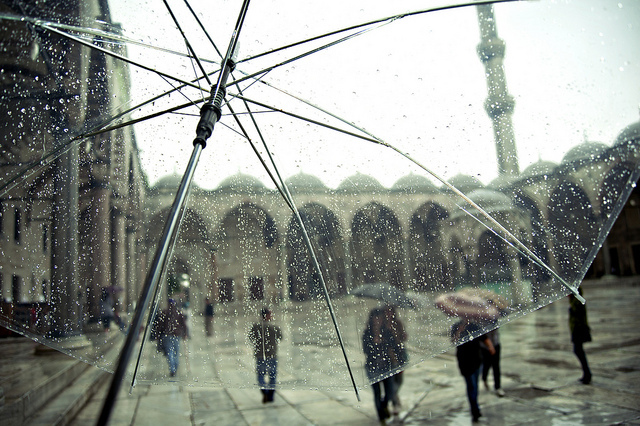 Getting lost in the charms of the Grand Bazaar is a must. Here, a list of must visit shops is essential. Turkish textiles like peştemal, as well as jewelry, leather, carpets, and antiques would be on my list of things to buy. 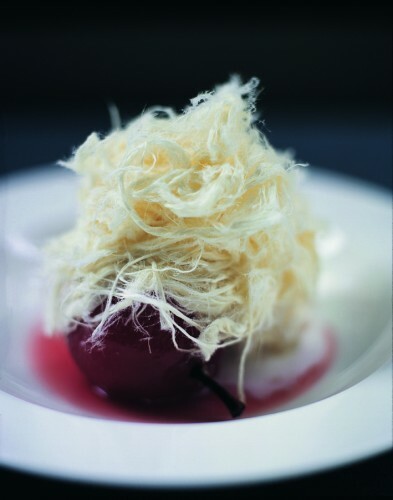 For the grand finale, dine at Ulus 29, one of the best restaurants in the city. The menu, which combines Turkish and international elements, offers a select multitude of dishes prepared with elegance as much as with flavor and when it is paired with the breathtaking view of the Bosphorus, it becomes an unmatchable experience in this vibrant city. 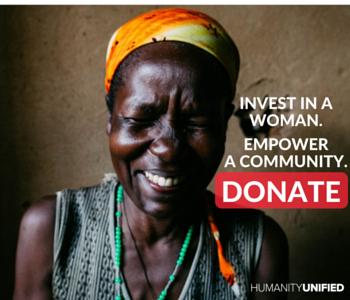 Dilara Apa was born in Istanbul in 1985 and pursued her studies in business and management at the University of Virginia and the University of Bocconi, Italy. After her return to Istanbul, she began work at a PR firm and then continued her career at The Guide Istanbul magazine beginning in May of 2009. 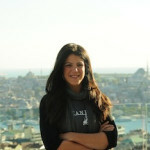 Responsible for the creation of theguideistanbul.com, the magazine’s website, Dilara Apa rose to the position of Editor-in-Chief and General Manager in 2012. Such a multi layered and complex city couldn’t be better summarized. There is of course much more to discover but great article with beautiful pics. Looking forward to getting back there soon! is there a particular street where we can see all the beautiful and hip folks? You have to get a Turkish Peshtemal towel, They are gorgeous! Such great information! I will have 5 days in Istanbul and can’t wait to try some of your suggestions! Thanks!